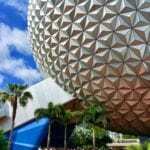 RUMOR: Is a Coco Attraction Replacing Grand Fiesta Tour in Epcot’s Mexico Pavilion? 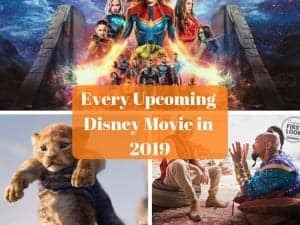 Since we are living in this new age of Disney parks where the company practically won’t even think of putting in a new attraction if it’s not connected to a strong IP, Coco doing well at the box office and potentially becoming a Disney classic certainly bodes well for the possibility of a Coco attraction. Where would a Coco Attraction go? Obviously the only logical location would be in the pyramid of the Mexico pavilion in Epcot’s World Showcase. 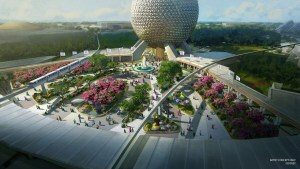 This would be a perfect addition to Mexico, and fits the direction Disney of Disney adding IP’s to Epcot, like we saw last year with Frozen Ever After, and the upcoming Ratatouille attraction in France and Guardians of the Galaxy coaster in the old Universe of Energy Pavilion. Let’s face it, the Grand Fiesta Tour is one of the last 1 or 2 attractions on the lists of Epcot guests to do, and is empty half the time. Introducing a Coco-based attraction would give Mexico new life and immediately increase the pavilion’s popularity, making it a must-stop, the opposite for most guests today. That being said, it’s not necessarily a simple task just plopping a coco-based attraction over the existing Grand Fiesta Tour. I think to really due the attraction justice, the current Mexico show building holding San Angel Inn and Grand Fiesta Tour would be best served being expanded back a bit. While Frozen Ever After has been a fan favorite, it’s not nearly what it could have been because it was built over an existing attraction footprint. Disney shouldn’t make that mistake twice and go the cheap route. The attraction itself could use a mix between the latest screen technology and animatronic figures, much like the Na’Vi River Journey uses in Pandora. 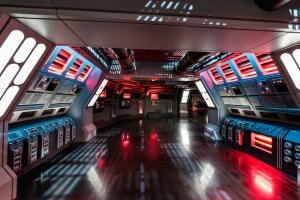 That would give imagineers the ability to create a beautiful and immersive environment like you see in the film. I’m guessing they could create a story much like in the film with a hanging trolley bringing you through the adventure in the land of the dead, mixing in the incredible music and visuals the film uses. Just really think about what it could be like if done right…it’d be like Peter Pan on steroids. All that sounds nice but this is Disney, so a total restructuring of the Mexico pavilion is probably wishful thinking. 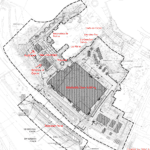 Most likely what we will get is a Coco overlay to the existing attraction footprint in the pyramid. It will probably be a “take this, or nothing” deal if I were betting on it. 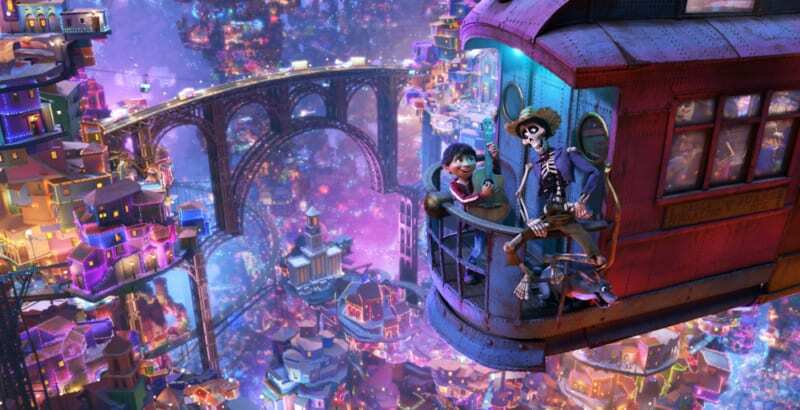 Keep in mind this is all rumor and speculation, I don’t have any personal insider info on this one, but based off what many other insiders are saying, and how well Coco the film is being received, it’s only a matter of time imo. 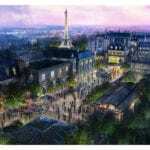 I want to know what you think about a Coco Attraction replacing the Grand Fiesta Tour in Epcot. Would you prefer something about Coco or the Grand Fiesta Tour? Do you think the Mexico Pavilion is a good choice for location? Let us know in the comments section below! Grand Fiesta Tour doesn’t draw in the crowds, but it did retain a lot of the old El Rio del Tiempo attraction’s look and feel. As time goes by, there is less and less of the 80s originals left. I’ll be sad to see it go, but mainly because it’s my daughter’s favorite ride. Then again, she’s 5 now and I’m sure she’ll be moving on to bigger attractions soon enough. yeah it holds some nostalgia for sure and it would be sad to see the change. I’m interested in seeing what the Imagineers could do with it, but only if they don’t do a simple overlay like they did with Frozen..
Grand tour fiesta is my FAVORITE ride. I’ve been in love with the three caballeros since the fist time I saw it. I think a complete redesign of the attraction is needed. The indoor pavilion can be an on going Día de Muertos, extending the queue and the ride itself. Within the queue there should be the marigold petals, Hectors guitar and songs/ letters to coco and the ofrenda, showing pictures of the Rivera family. i love the cable car idea, however it would take away from the beauty of dining at the San Angel Inn, maybe it can start with being on a boat that would magically morph into a cable car once you cross into the land of the dead? I was a fan of the Mexico ride however, it just reminded me of a Mexican “small world”, and it could be so much better. Wow, Rob, I think that would be a great idea for the attraction. Unfortunately in the last week Bob Iger made a comment saying he doesn’t really see Coco as a franchise but just a great film. That makes me skeptical that they will spend the money doing a renovation to the Coco theme here even though it makes the most sense in the world!